Negussie Wodajo Beyene (born, raised and educated to postgraduate level in Addis Ababa, Ethiopia) received his B.Sc. (Chemistry) and M.Sc. (Analytical Chemistry) from Addis Ababa University in 1991 and 1996 respectively. He obtained his Ph.D. (Analytical Chemistry) from Karl-Franzens University, Graz, Austria in Feb 2003. He was a postdoctoral fellow (Apr 2003-Mar 2005) at the Department of Chemistry, University of Pretoria, South Africa and senior postdoctoral fellow (June-Dec 2005) at the Department of Chemical Engineering, URV, Tarragona, Spain. He has worked as Clinical Chemist and Head of Regional Health Research Laboratory (1992-1997), in Ethiopia, as Lecturer of clinical chemistry (1998-1999) at Jimma University, Ethiopia and as Assistant professor (2006-2007) at Addis Ababa University, Ethiopia. Currently he is a consultant Analytical Chemist, (since Dec 2007), for GICHD on its project with APOPO, Tanzania. He received different PhD, postdoctoral, travel and conference as well as research grants. 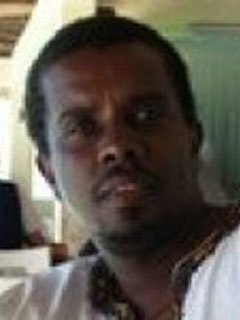 He has been serving as a reviewer for the South African Journal of Chemistry (Analytical part 2003-2005), for the Bulletin of the Chemical Society of Ethiopia (since 2007) and for Analytical and Bioanalytical Chemistry (since 2006). He is an active member of the Chemical Society of Ethiopia, TWAS Young Affiliate Fellow (2007-2012), participated at the Annual Meetings of Nobel Laureates, at the Annual Meetings of New Champions, and he is a founding member of Global Young Academy. He has published more than 30 research articles on peer-reviewed international journals in a broad area of analytical chemistry and advised eight graduate students from Environmental Science, Pharmaceutical analysis and quality control, and the Department of Chemistry, Addis Ababa University. He has research experience accumulated for more than over a decade in different areas of analytical chemistry such as clinical chemistry, environmental chemistry, pharmaceutical analysis, food chemistry, sensors and biosensors, instrumental analysis and the emerging nanobiotechnology.